SpotCam has integrated with Google Assistant service and allow you to display your camera video on Chromecast TV or Google Home Hub by voice control. 1. Make sure you already have a Google account. 2. Make sure you already have a Google Home Hub or Chromecast TV. 3. Make sure you already installed Google Home app on your mobile phone. 4. 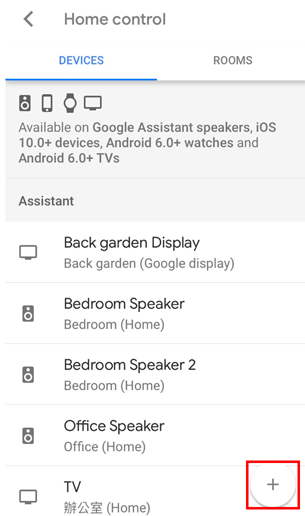 Make sure you already connect all Google devices (Google Home Hub/Google Home/Chromecast TV) to your Google Home app and all devices are connect to same network. 5. Make sure you already have a SpotCam account and there is a camera installed with the account. If you have all above, then you are ready to go. Please follow below steps to connect your SpotCam account to your Google account. 1. Login Google Home app by using your Google account. 2. Click “Setting” button and then click on “More settings”. 3. 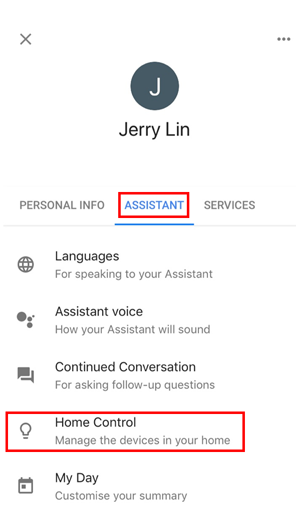 Select “ASSISTANT” sheet and then click on “Home Control”. 4. Press “+” icon at the bottom right of the app. 5. Search “SpotCam” and you will find SpotCam in the device list. 6. Click on SpotCam and you will be directed to an account connection page. 7. 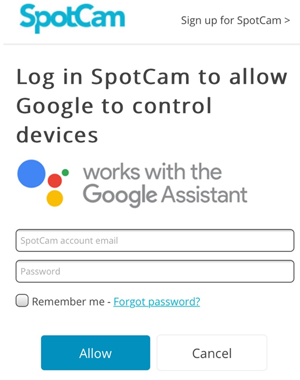 Enter your SpotCam account and password and then click “Allow” button to connect your SpotCam account to your Google account. 8. 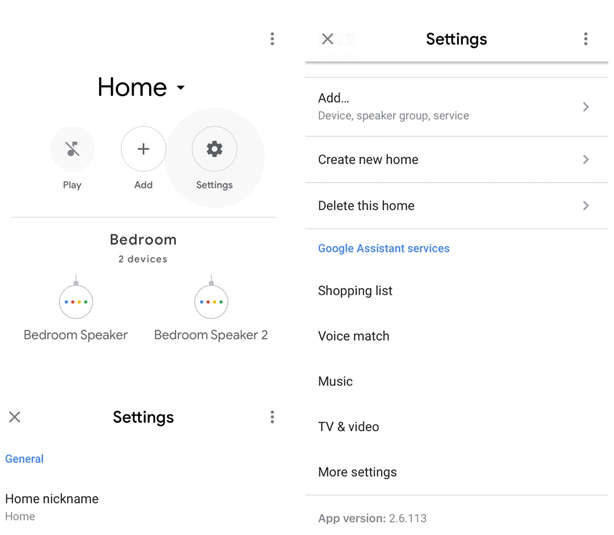 Back to the Google Home app and now you will be able to display your SpotCam video on Chromecast TV or Google Home Hub by saying some simple phrases.